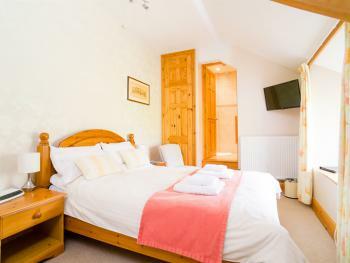 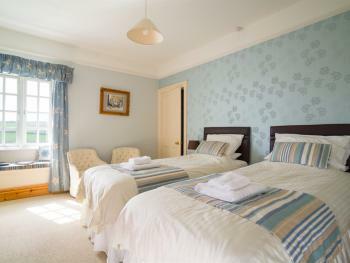 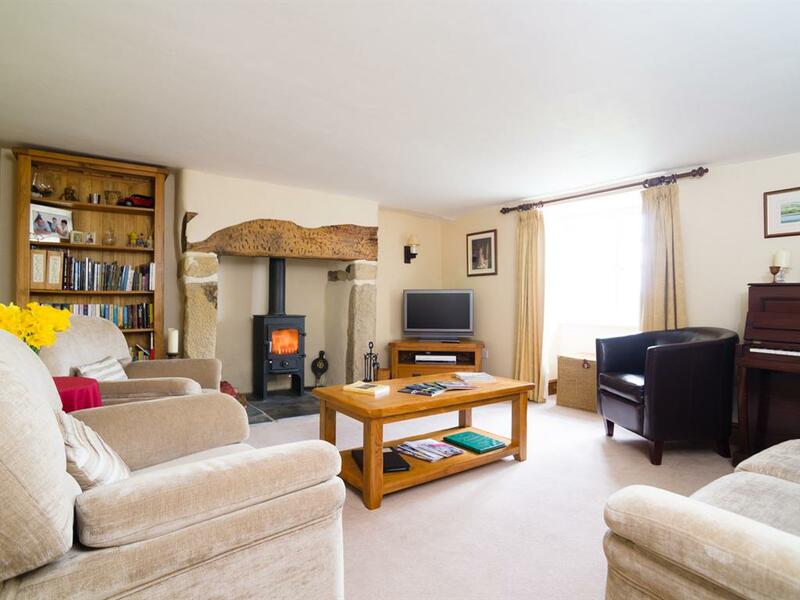 Room 1 - This family room is very flexible being let for 2, 3 or 4 guests. 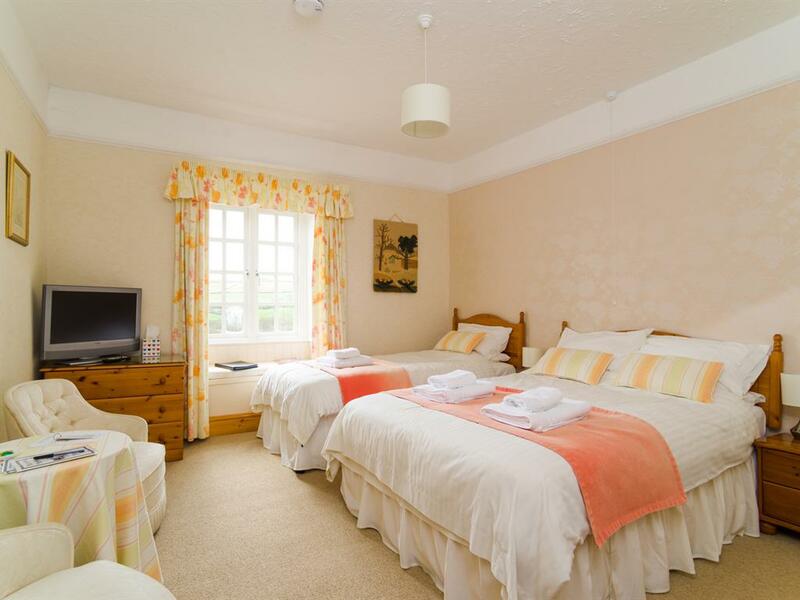 It has a king size bed and two single beds along with freeview TV and tea/ coffee making facilities. 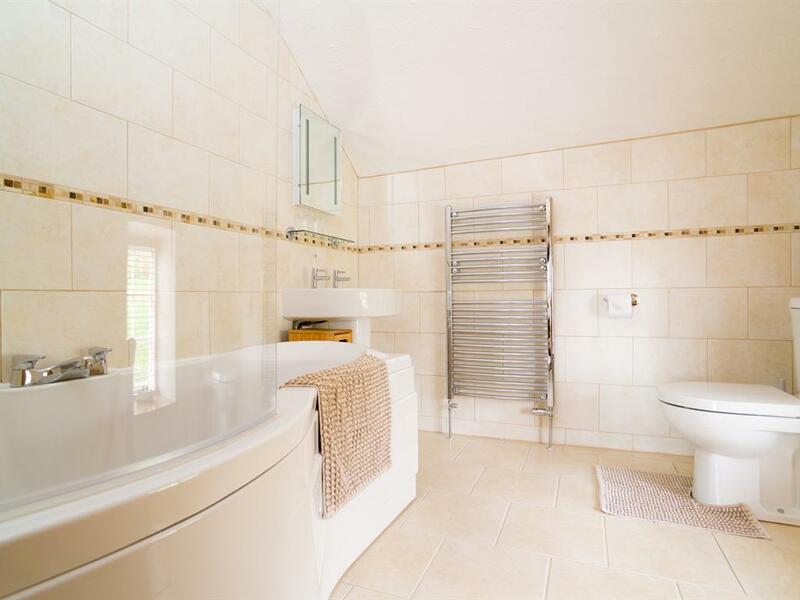 The modern tiled en-suite has a bath with a shower over it. 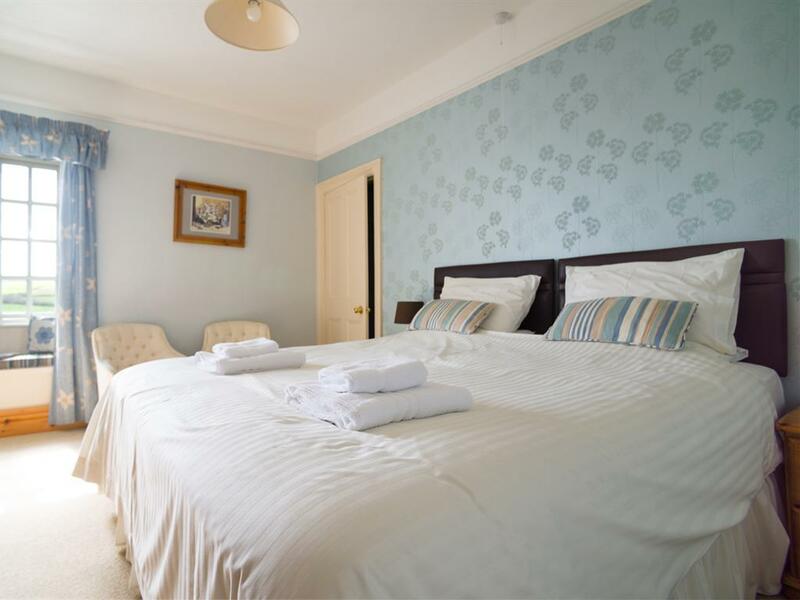 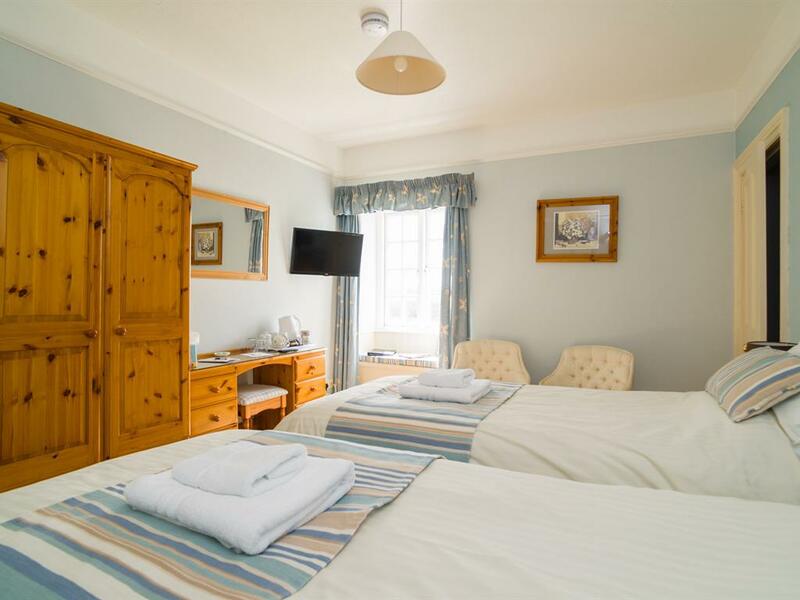 Room 2 - A compact double room with comfortable standard double bed, flat screen Freeview TV and tea/ coffee making facilities. 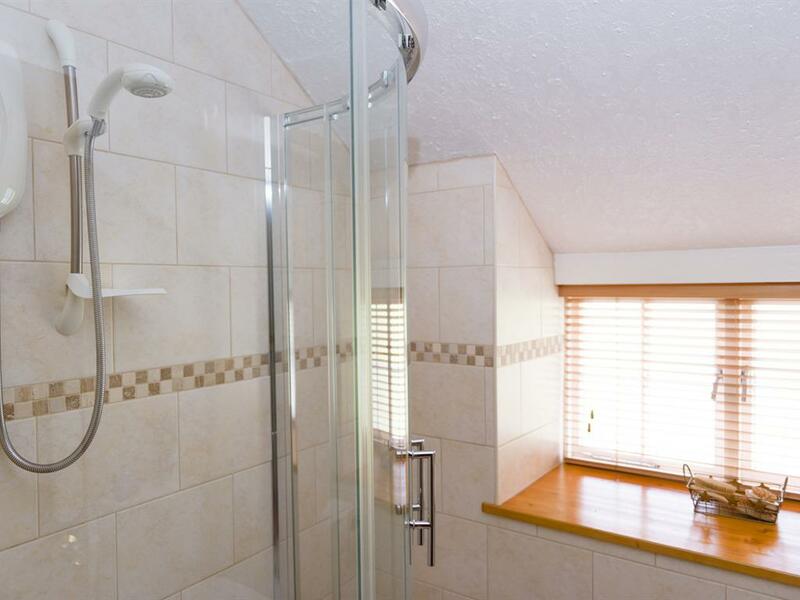 The shower room is shared with one other single room and boasts a good size shower. 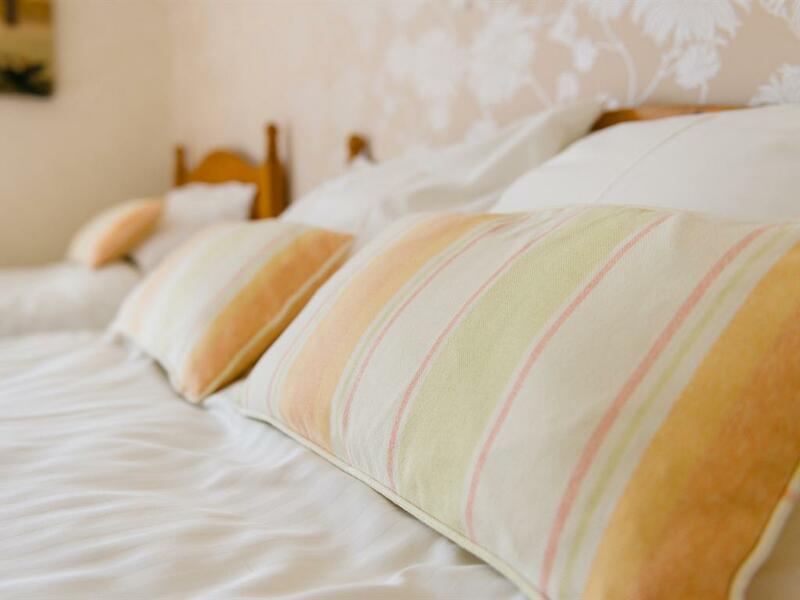 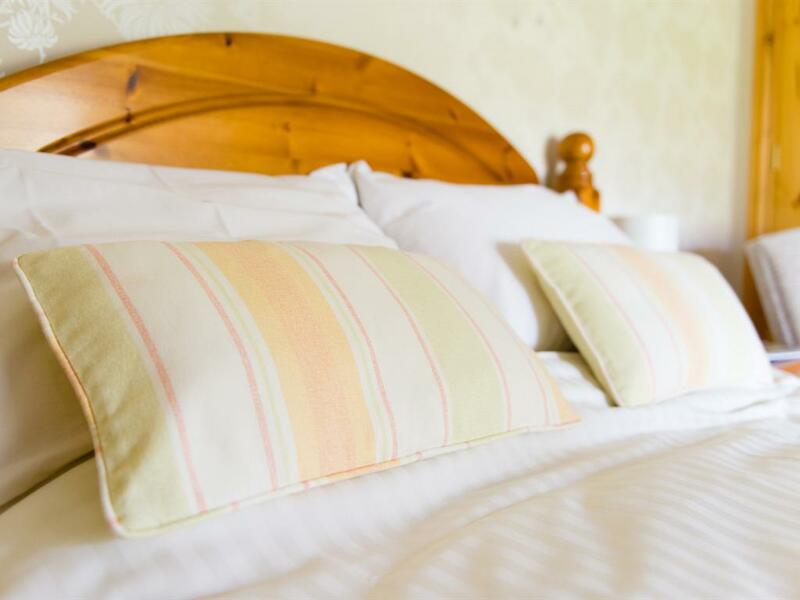 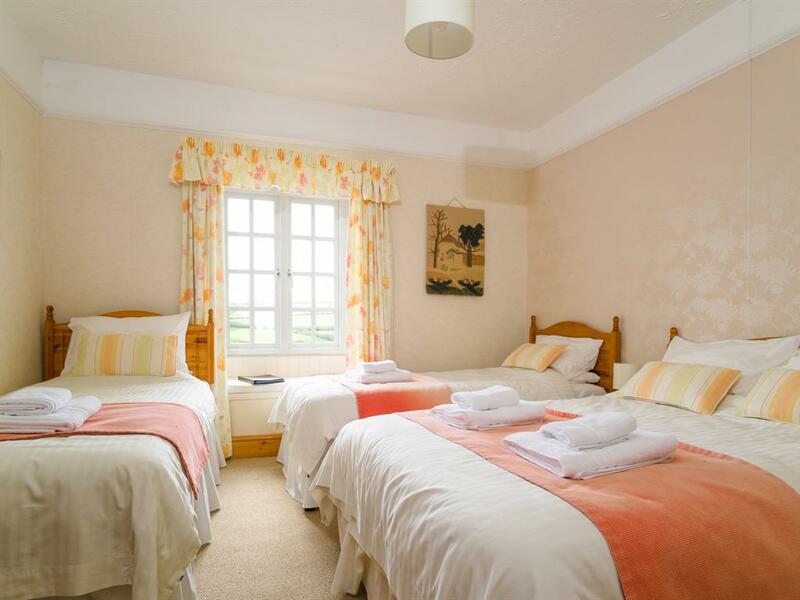 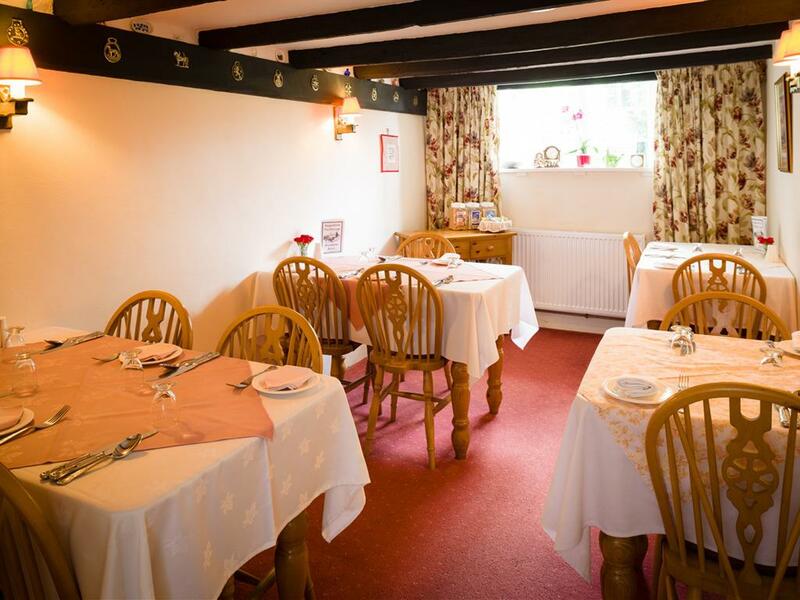 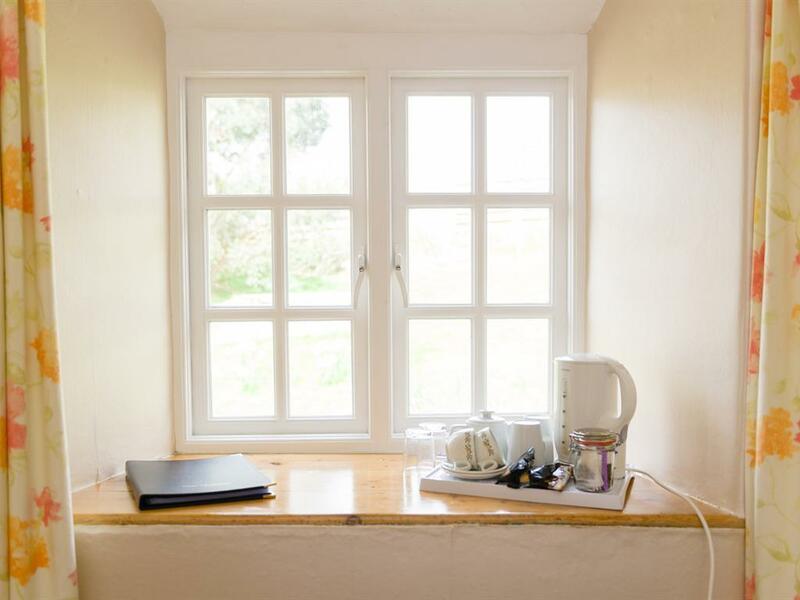 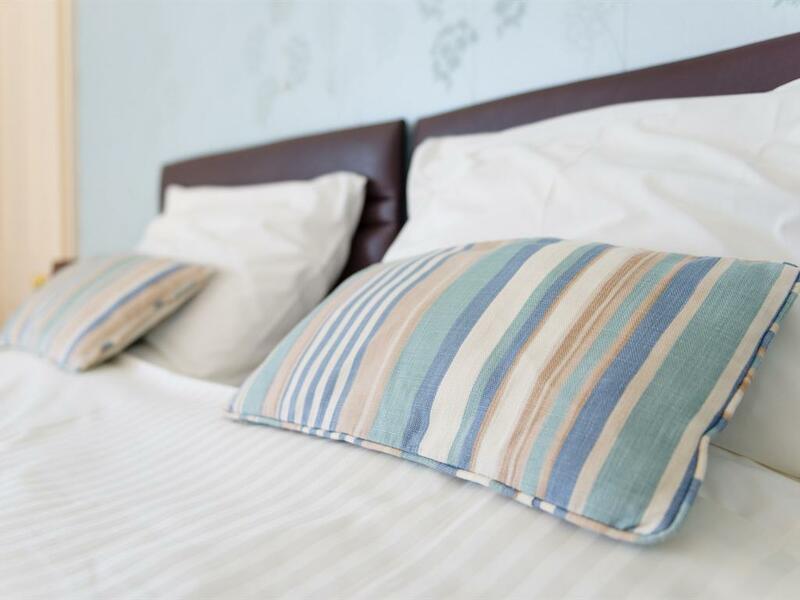 Room 3 - A good sized single room with comfortable single bed, Freeview TV and tea/ coffee making facilities. 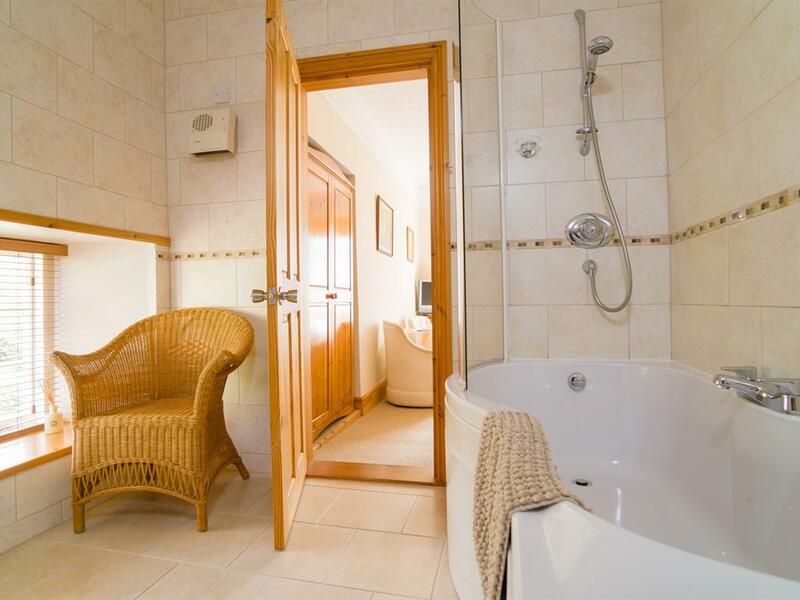 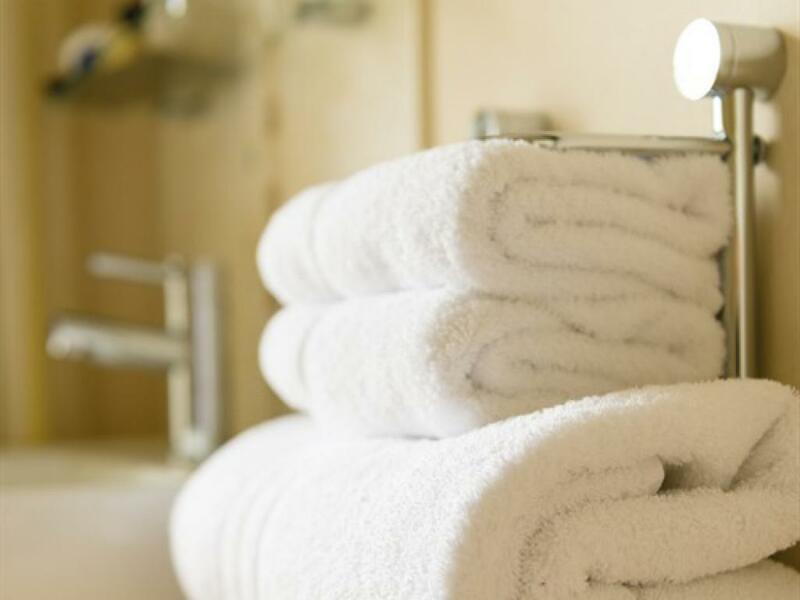 The shower room is shared with one other double room and boasts a good sized shower. Room 4 - A versatile room with two standard single beds that can be linked together to provide a super-king sized double bed. 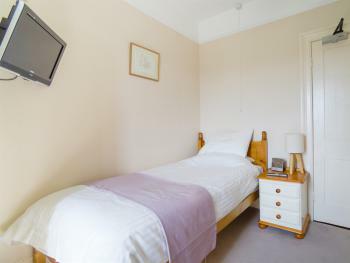 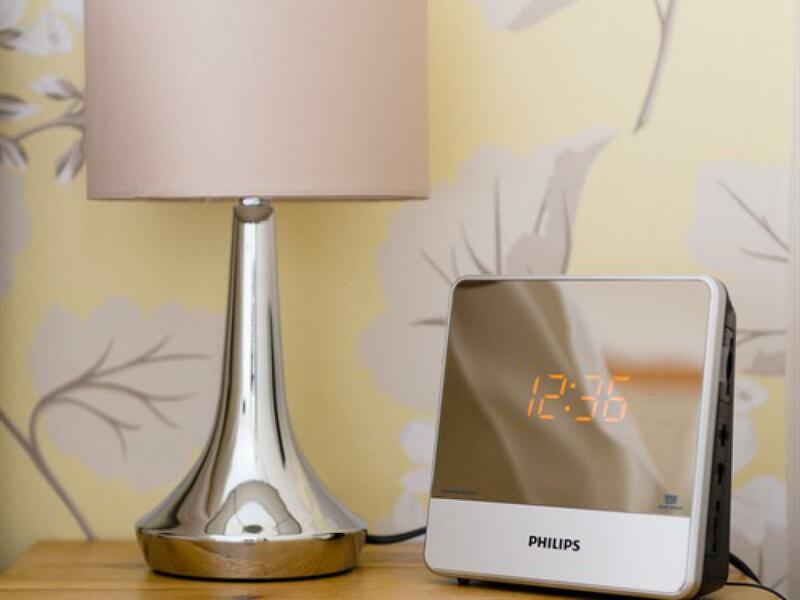 Flat screen Freeview Smart HD TV and tea/ coffee making facilties. 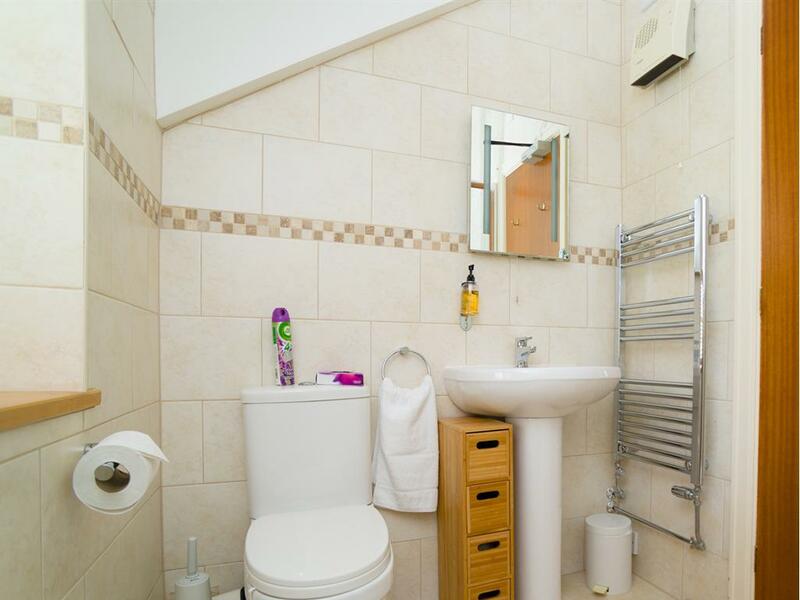 The modern tiled en-suite has a good sized shower. 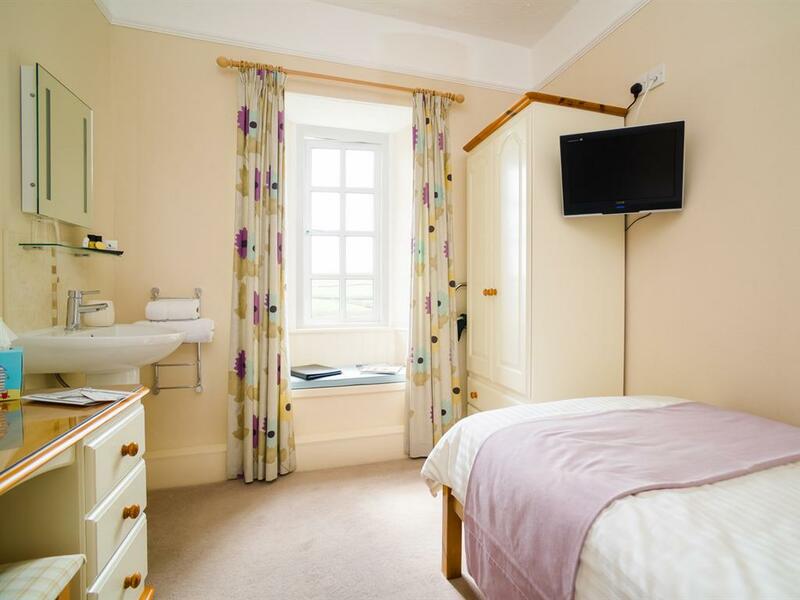 Room 5 - A comfortable standard double bed is provided in this room along with a flat screen Freeview TV and tea/ coffee making facilities. 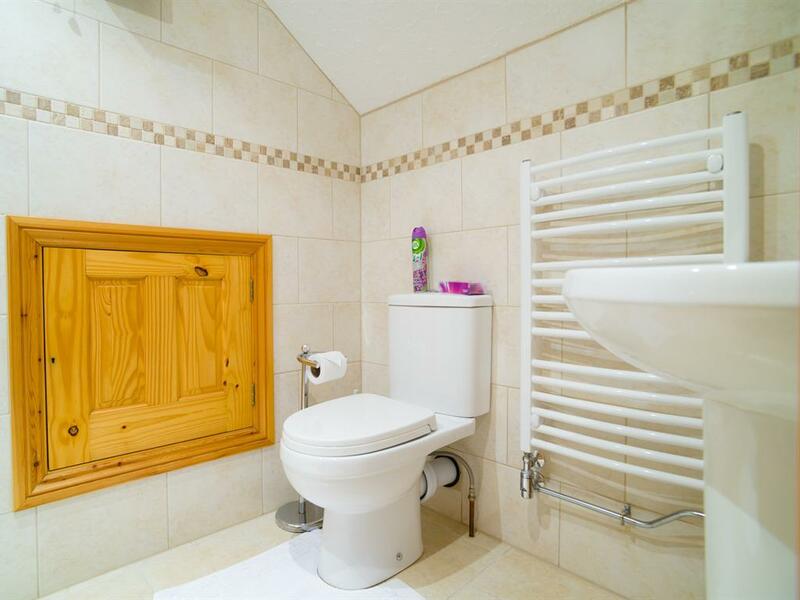 The modern tiled en-suite has an electric shower. 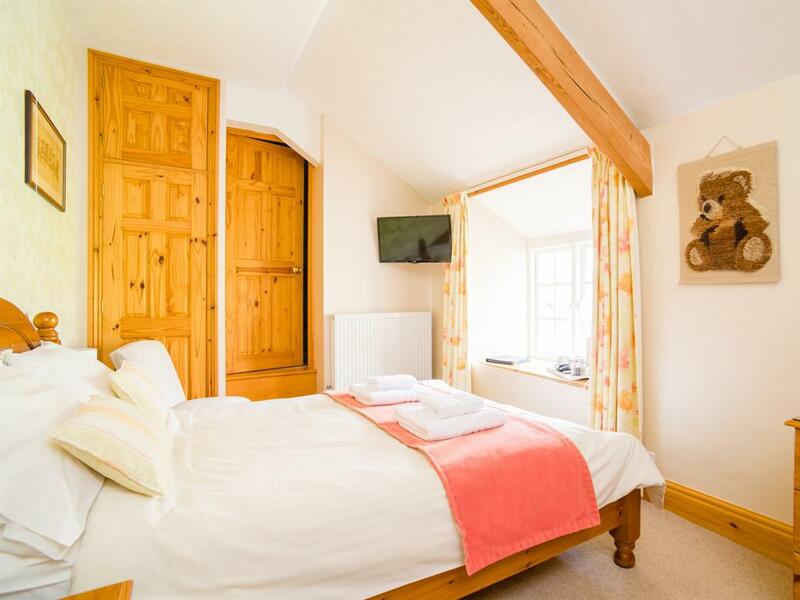 Tucked into a peaceful wooded valley, this charming 16th century farmhouse offers the ideal retreat for those looking to rest, relax and unwind. This delightful Grade 2 listed building exudes character with its unusual slate hung exterior and invites you in to share its history. 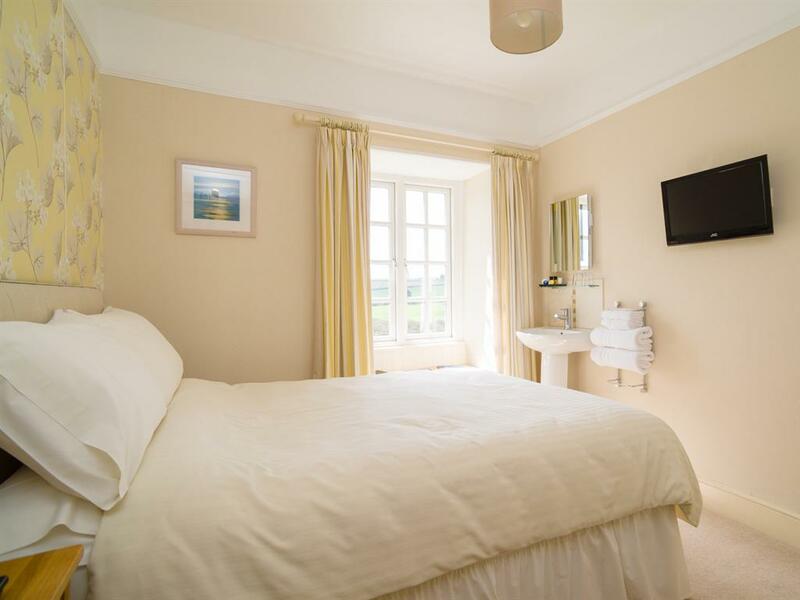 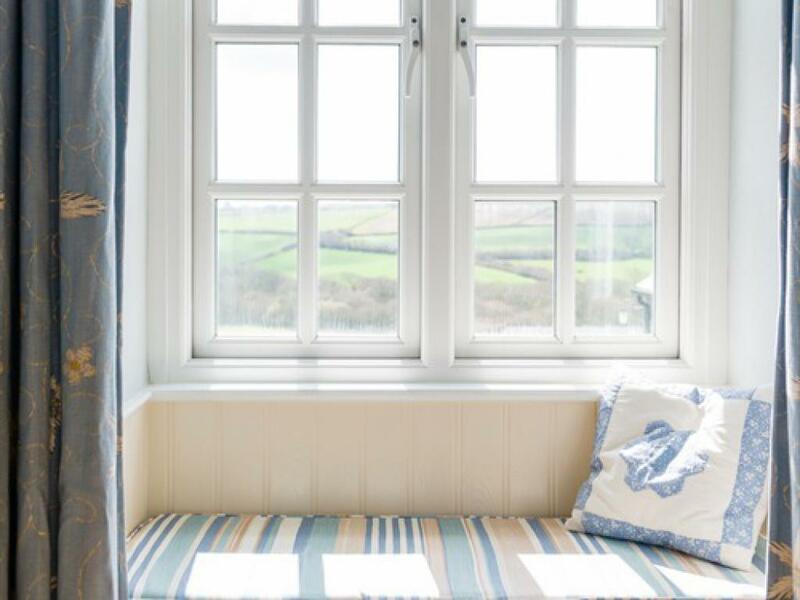 This well-appointed bed and breakfast boasts stunning views over patchwork fields and a glistening lake. 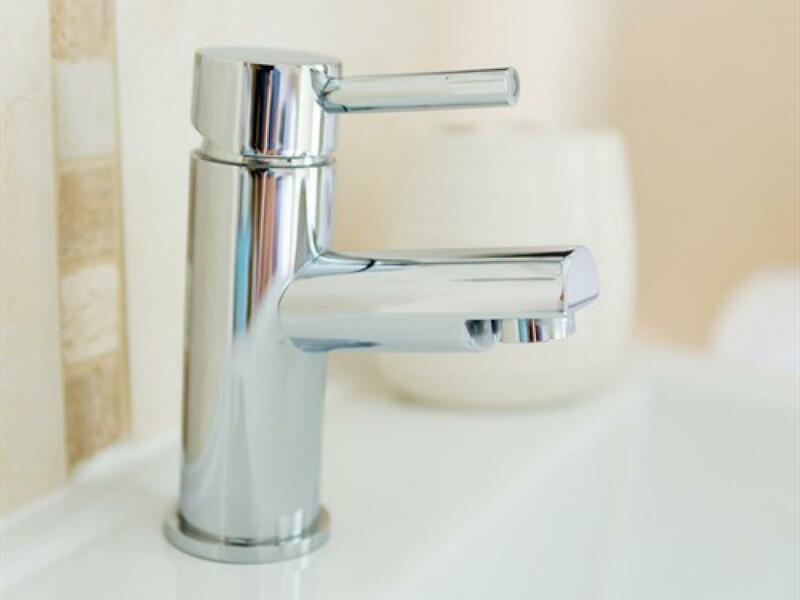 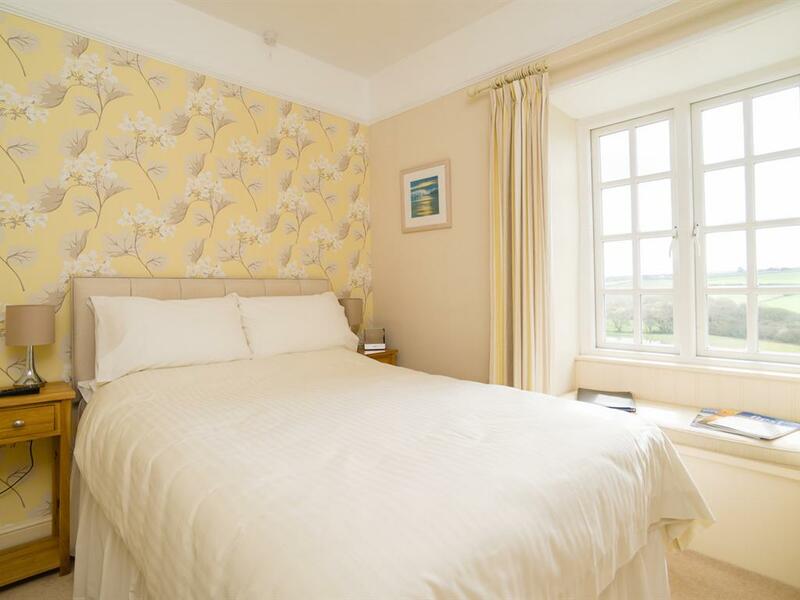 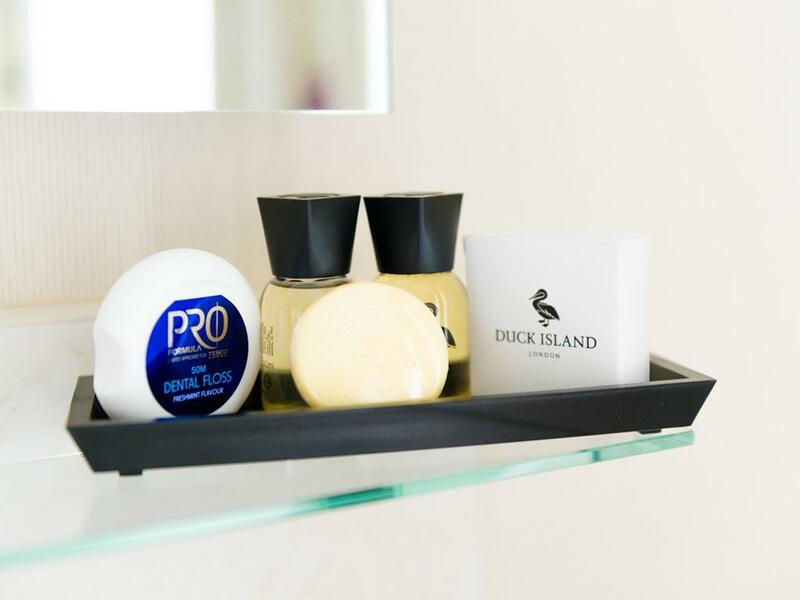 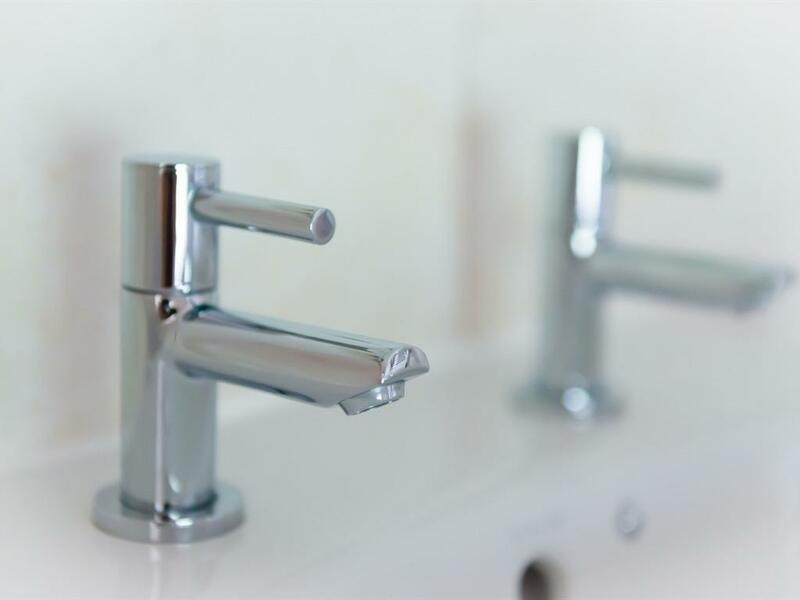 There are 5 bedrooms available, most with en-suite facilities which are charmingly decorated to a high standard providing all the comforts of home. An award winning breakfast of local produce is served in the cosy dining room, a great start to your day of discovery. 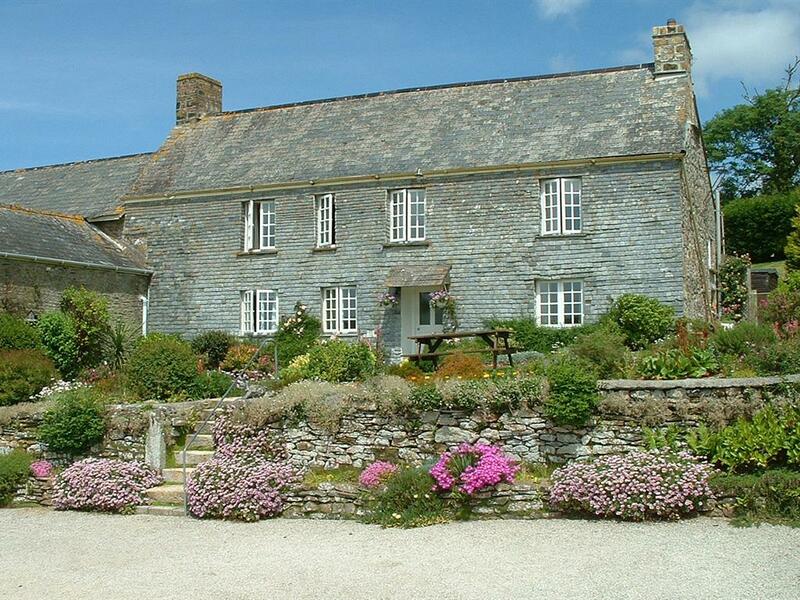 Degembris is surrounded by picturesque gardens, the perfect place to take time out. 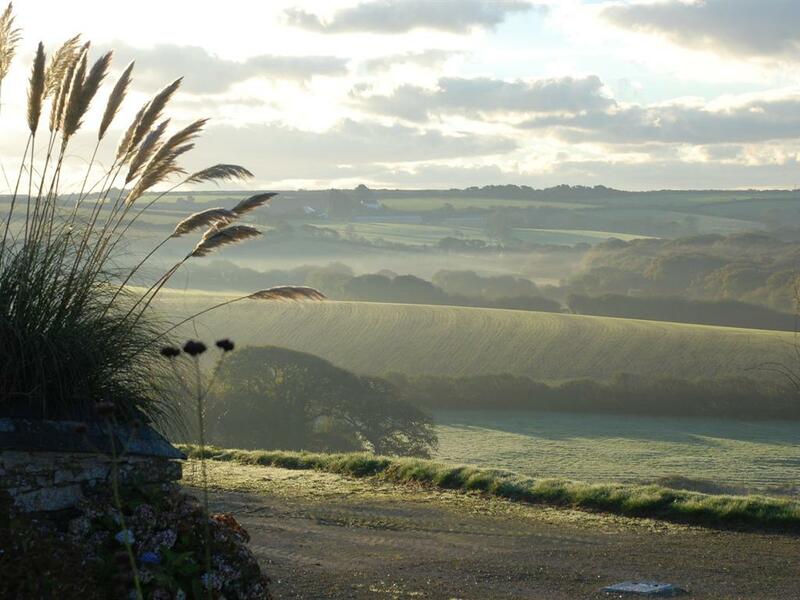 Or maybe a gentle stroll around the continually developing landscape will ease those stresses away. 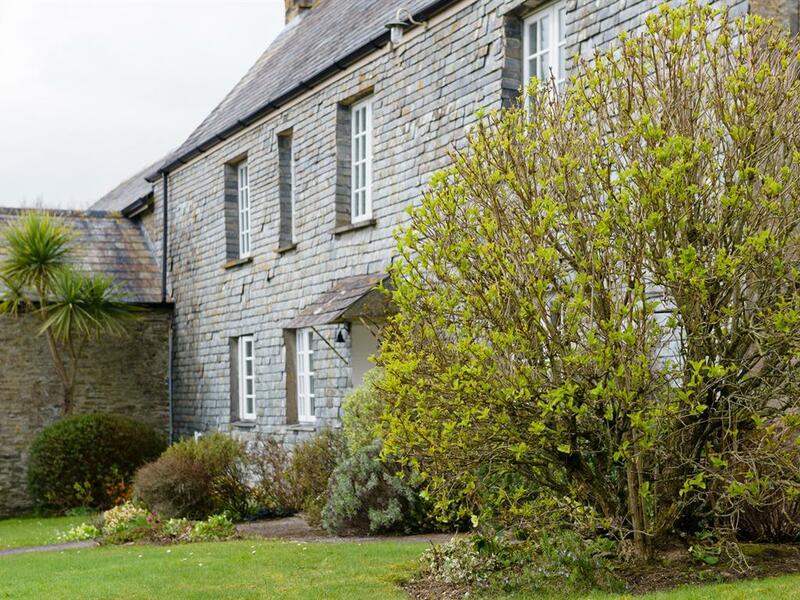 Centrally situated, yet close to the sea, Degembris really is the ideal place to explore all that Cornwall has to offer.